Plan your itinerary in 4 easy steps! Step 1: Use the Online Planner to search for sessions and build your itinerary. Step 2: Install the ACC.19 App on your phone (Now Available). Search "ACC.19" in your app store to download it today. Step 3: Login to the ACC.19 App using your ACC username and password and sync it with your online itinerary. Step 4: Make any additional itinerary changes using either the Online Planner or the App. Use the Online Program Planner to search for sessions by day, session type or pathway and start building an itinerary that meets all your needs! Download the Dynamic Program Chart. 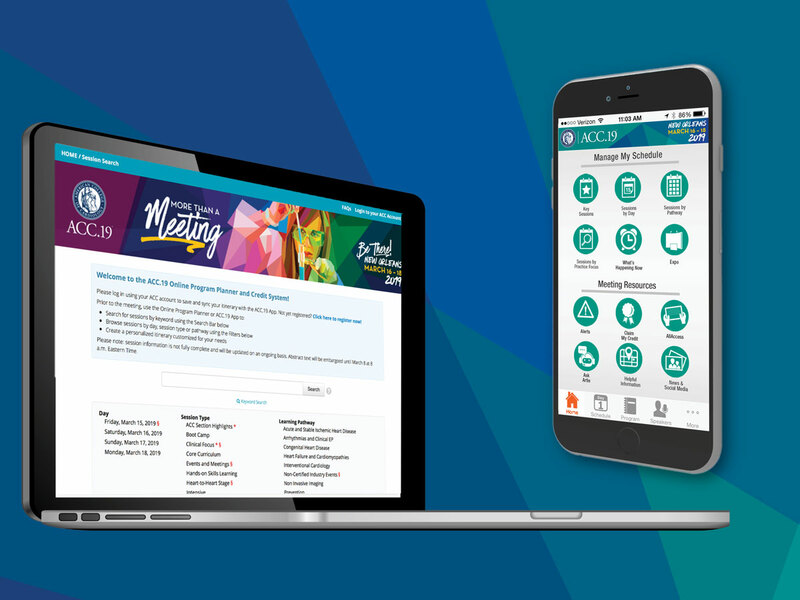 Sync the itinerary you built in the online planner with the ACC.19 App. Or plan your itinerary directly in the App! Plus, during ACC.19 you'll be able to view session slides, take notes, stream sessions and more! 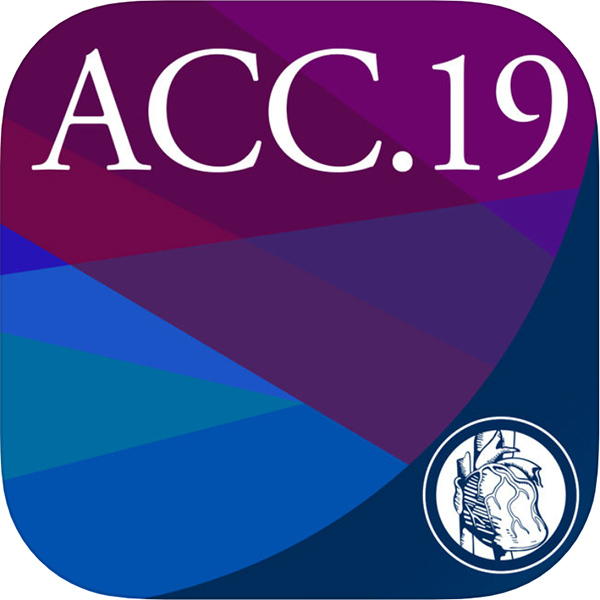 NOW AVAILABLE — search "ACC.19" in your app store to download the app or browse to https://ativ.me/acc19. These additional tools and resources will help you navigate ACC.19 quickly and easily. Program PDFs: Browse the ACC.19 sessions by day in PDF format. The PDFs include full session, presentation and speaker information. Due to the number of pages, we recommend that you view these PDFs electronically or print double sided. General Meeting Information: Find the location of key amenities and offices with our general meeting information documents. Program-At-A-Glance: A PDF version of our onsite pocket guide provides attendees with a quick reference for session titles, times and locations.